How to select the right Purella Skincare product for you? Choosing the right skincare product is necessary for healthy skin. Depending on the skin type and possible problems that each person has, different skincare products are designed to help with the particular problem. When you are exploring the organic product, the situation is pretty much the same. Organic Skincare products cannot harm your skin, but the right product will provide more benefits. Based on that, we have created a unique guide that will help you how to select the right Purella product for you. If you are not sure what your skin type is, or you would simply love to enjoy an Organic Skincare product, our Green Goddess Resurfacing or Mineral Spa Botanic Collection would be perfect for you! Made with a different range of green fruits and herbs, it becomes one of our most popular Purella Collection. Blackhead, blemish and acne are one of the most common skincare problems. Most products are removing them from the skin, without doing the deep cleansing, or irritating the skin with too strong ingredients. Our Blackhead and Blemish Collection is created from natural ingredients that will not harm your skin (salicylic acid, bentonite clay, willow bark etc.) and clean it deep down to remove the cause of the problem. If you are still having problematic skin, without blackheads, you can explore our Super Fruit Skin Tightening line is perfect for you if you are facing the problem with open pores, redness, skin blemishes and irritation. If you have dry skin, a lot of skincare products may not be suitable for you. Therefore, we have created the special Hydro Boost Skin Hydration line, specifically designed for dry and stressed skin. With highest quality organic ingredients that will nourish, hydrate and protect your skin. People with sensitive skin find it difficult to source the right skincare product for them. Sensitive skin type demand special care to help skin shine. Our Jojoba Milk Sensitive Skin collection is simply made for you. The natural healing power of jojoba oil and butter, coconut oil and aloe vera, we have created this amazing line to protect and calm sensitive and delicate skin types. If you are facing texture balancing problems, you need to know that you are not alone! With modern technology and aggressive skincare products, our skin can become vulnerable. Texture Balance range is organic texture made with purest milk ingredients, anti-ageing plant extracts that polishes the skin naturally, leaving it glowing, bright and completely smooth. Skin Conditions become pretty common lately, and we have designed special Skin Condition range to help you address and nurture your skin. With highest quality natural ingredients, they will tackle your ongoing skin condition problems. Cooling Skin Toners are a vital part of any skincare routine. Your skin deserves to be cooled, refreshed and invigorated ahead of your treatment prep. We have created a stunningly simple range of Skin Soothing Toners that you will love using, day after day. Face & Body product in one bottle? We made it happen! Skinfusions Beauty Berry collection contains beneficial ingredients for both face and the body. Our main ingredient, super berry fruits including elderberries, blueberries, cherries, goji, acai berries and many more, made the collection irresistible. Skinfusion beauty berry line will make your skin smoother, softer and youthful with anti-ageing effect. Except for common skincare products, Purella has designed a unique organic line for Body Wrap with amazing results. If you are seeking an organic product for inch loss, cellulite and body toning, our Chill Enzyme Body Wrap Collection is perfect for you. Our Coffee Butter products will leave you feeling toned, buffed and ready for the beach. We understand that no pampering would function without a range of body and facial massage oils. However, Purella also understands how the skin works. With that in mind, we have created a range of body and facial oils that aren't just oils - they contain high-quality anti-ageing ingredients, focused to ensure your skin is protected and hydrated from start to finish. Hands and Feet only ever look good when time, effort and care are taken to look after them. Having a good quality range of manicure and pedicure products are vital for your skin. We have created a 2-in-1 collection of hand and foot products that can be used in any treatment. Men's skin also needs the protection and care. With an understanding of this need, we have created Men's Grooming line designed for the gentleman. Minerals. 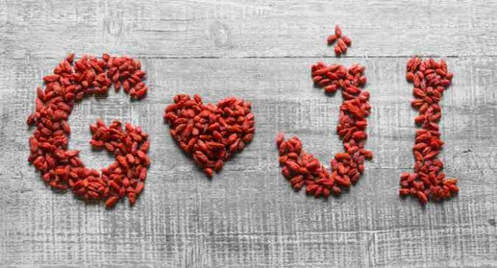 Goji berries contain 11 of the 22 essential dietary trace minerals, including calcium, potassium, iron, zinc, and selenium. Though each has different action, they all can help firm, tighten and plump the appearance of your skin. Amino Acids. Amino acids, at their essence can help smooth the look of your skin, and improve tone and colour. They also help improve skin hydration. Best of all, they're non-irritating. Vitamin C. Goji berries contain a high amount of vitamin C, which is known to support firming and tightening and protect the skin from environmental stressors. It's also been shown to help reduce the appearance of age spots. Carotenoids. These are flavonoids like beta-carotene, zeaxanthin, lutein, lycopene, crytoxanthin, and xanthophyll. These protect and are known to help maintain a healthy glow in the skin. Polysaccharides. These components have antioxidant properties, firm and tighten and increase hydration. Add all these properties together and you have a powerful anti-ageing ingredient that works on a number of different levels. This is a great example of why we like using natural ingredients. Most synthetic and chemical ingredients provide one or two benefits at most. Natural ingredients, on the other hand, deliver several benefits all at once, and because they're presented in their natural form, tend to work better with the body's own systems so you see faster and longer-lasting results. 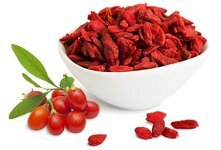 We use goji berries in our Superfruit range for their anti-ageing and protective properties. Who doesn't winter? It might be cold outside and a little bit grey...but wrapping up in a warm blanket, cosying up on the sofa and sipping on a sweet, delicious hot chocolate sounds a little like heaven, no? Unfortunately, our skin does not love this time of year quite as much. The harsh cold weather, low humidity and central heating can wreak havoc on our skin. If we are not careful, our skin is stripped of all its moisture and can start to flake, peel and look dull and lacklustre. Not a pretty sight, and not a good base f or applying makeup either. 1. USE MOISTURISING, CREAMY CLEANSERS RATHER THAN HARSH, STRIPPING CLEANSERS. Using cleansers that require a lot of water to rinse off can contribute to dryness. Believe or not, water, especially hot water, strips oils from your skin making it lose a lot of its natural moisture. Instead, use a creamy cleanser and a cotton pad. Saturate your cotton pad with the cleanser and sweep all over your skin morning and night to remove makeup, dirt and grime. Hydro Boost Cleansing Butter Clay Cleanser is perfect for this time of year. The Active Manuka Honey acts as a natural humectant, meaning it will draw moisture to the skin and help to heal as well as protect it from further damage. 2. USING A MOISTURISING SERUM WILL SAVE YOUR SKIN. Serum's are designed to penetrate deeper into the skin to deliver a higher concentration of active ingredients. Serum's should always be used before applying moisturiser, after toner, and on clean, dry skin. A good quality serum that is suited to your specific skin type can quite literally be the answer to all your prayers! If your skin is feeling dry this winter, try the Green Goddess Resurfacing Eye and Face Serum. Inspired by nature, Green Goddess is packed with natural GREEN plant and herbal extracts, including Organic Green tea extract which is naturally rich in antioxidants, which has a cell-protecting function as well. It's a strong antioxidant effect that protects the skin from the damaging effect of free radicals. 3. START USING AN OIL ON THE FACE AND BODY. Using an oil before or instead of a moisturiser will really help to lock in moisture and leave your skin feeling so smooth and luxurious. To get the most out of your oils, always massage them onto slightly damp skin. This will help the nourishing goodness of the oil penetrate into the skin easily. You can either use a spritz of rosewater to your skin before massaging in or just keep your skin slightly moist after cleansing. For a face oil, we recommend Hydro Boost Skin Hydration Facial Oil Serum. Organic apricot oil and organic rosehip oil will help to treat dry skin and work towards balancing out the moisture levels in your skin. Rosehip oil is renowned for fading age spots, scars and imperfections and perfect for revealing fresh, glowing skin! Follow with your day or night moisturiser for added moisture. For the body, Mineral Spa Pure Botanical Body Oil - Detox makes for very luxurious and smooth skin. Natural and organic, with marine collagen to soothe the skin, seaweed and kelp extracts to calm and heal, and blue green algae to revitalise and nourish all skin types. Apply onto damp skin straight after a bath or shower and follow with a body moisturiser for extra silky skin. Eating and drinking for healthy skin – I always try to drink plenty of water throughout the day to stay hydrated. Staying hydrated is so important for healthy, moisturized skin – nothing else matters if your skin is dehydrated! I make sure to include plenty of fruits, vegetables, and healthy fats in my diet. And above all, I make sure to eat enough total calories. I know my body needs plenty of energy in order to properly replenish and nourish my skin! Avoid irritating your skin – Avoiding irritation is one of the most important factors for keeping clear, even-toned skin. Keep your hands off of your face (and only touch your skin with clean hands), and never pick at blemishes. Always use a feather light touch during your entire skin care routine. Whether you’re cleansing, using a sponge, applying moisturisers or oils, scrubbing, towel-drying, or applying makeup – always treat your skin as gently as possible. Be very careful not to scrub your skin too often, once a week is plenty. Give your skin a break! – This goes hand in hand with the whole “avoiding irritation” thing. I rarely wear makeup when I’m at home and I make sure to spend at least a few days each week bare-faced. I find it’s really beneficial to give your skin a break from your skin care routine too! Our bodies are pretty darn good at knowing what is best for our skin so it’s good to stop interfering and leave it to its own devices from time to time. If I need that “clean feeling” or I want to perk myself up in the morning I’ll just give my skin a quick splash of cool water. If you’re having chronic skin irritation or breakouts, try leaving your skin alone for a few days (or as long as you can! ), you might be surprised by the results! Do you know what is hiding in your cosmetics? The ever expanding number of chemicals found in cosmetics and personal care products is a concern. Certain chemicals have scientific evidence to be linked to adverse health effects such as cancers. Modern living has led to an explosion of chemicals being used which our bodies are subjected to on a daily basis. We're saying it's time to DITCH THE JUNK!.....Choose chemical free from harmful chemicals. 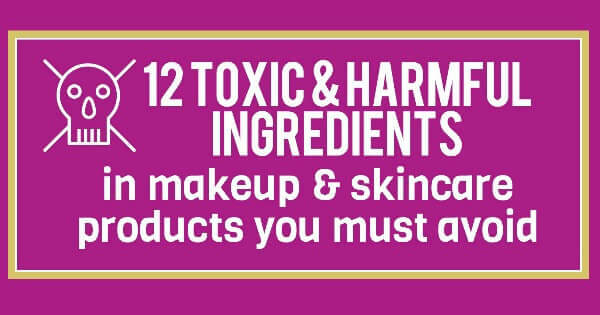 Do your research, check ingredients lists before you buy and choose products which don't contain chemicals of concern. Have you ever wondered what goes in your skin care products and why some skin care products make you itch? Here is a list of 10 ingredients you should be avoiding at all costs. Parabens are widely used preservatives that prevent the growth of bacteria, mold and yeast in cosmetic products. Sounds good, right? Not so fast, they do more than that. Parabens possess estrogen-mimicking properties that are associated with increased risk of breast cancer. These chemicals are absorbed through the skin and have been identified in biopsy samples from breast tumors. They can be found in makeup, body washes, deodorants, shampoos and facial cleansers. You can also find them in food and pharmaceutical products. These foaming agents are included in hair care and skin care products such as shampoos, conditioners, hair serums, hair masks, styling products, body washes and shaving products just to name a few. The 3 main sulphates are Sodium Lauryl Sulphate, Sodium Laureth Sulphate and Ammonium Lauryl Sulphate. These sulphates can irritate eyes, skin and lungs especially in long term use. Also called perfume, these terms indicate a mixture of ingredients that cosmetic companies don’t have to legally tell you about. Three thousand or more chemicals may be used to create a fragrance. Some “Unscented” products contain fragrances with masking agents. Some fragrances have been linked to allergic reactions, asthma, and breathing difficulties while others have links to cancers. Nearly one in five cosmetic products contains a substance that generates formaldehyde, which is linked to causing cancer. This irritant can be found in nail products, hair dye, hair straighteners, false eyelash adhesives, and some shampoos. Mineral oil and petroleum are the basic ingredients in many cosmetic products today. Both mineral oil and petroleum have the same origins as fossils fuels. Foundations, cleansers, and moisturisers often contain mineral oil. By locking moisture against the skin, mineral oil sits on the skin’s surface and can potentially block pores, increasing the risk of acne and blackheads. Used to make a product feel soft, these don’t biodegrade, and also prevent skin from breathing. Linked to tumour growth and skin irritation. Examples: di-butyl-phthalate, di-ethylhexyl-phthalate. Commonly used as a plasticizer in everything from skincare, cosmetics, nail polish, perfume to hair products and deodorants. Known to cause damage to the liver, kidneys, lungs and reproductive system. Suspected of causing birth defects, lowering sperm counts and a breast cancer risk. Organic Coconut Oil is the new ‘must have’ in the health and beauty industry. If you’re in need of some TLC with winter coming winter, this amazing oil has tremendous benefits for your hair, body and skin. It can be used in numerous of ways to keep you looking and feeling your best. Prevent premature ageing – Organic Coconut Oil has antioxidant properties which are known to help stop skin ageing early. Smooth skin - By applying to the skin’s surface, organic Coconut Oil will help to keep the appearance of the skin healthy and smooth. Retain moisture – Organic Coconut Oil is known to help to reduce moisture loss via pores due to its natural composition of saturated fat. 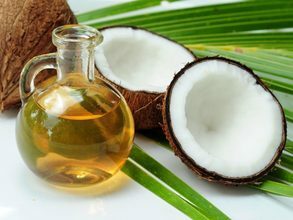 Heal wounds – If there is a cut or wound on the skin, applying organic Coconut Oil to the skin, some say that it will help in the protection of from microbial infections. Protect against cracking – Due to its Vitamin E content, organic Coconut Oil helps to prevent skin from cracking. Help skin growth – Organic Oil is known to help skin growth because of its Vitamin E content. Repair wear and tear – The rejuvenating properties of the Proteins found in organic Coconut Oil may help the replacement of damaged cells on or near the skin. Maintain a tan – Applied to the skin’s surface when tanned, it may help to prolong the tan. One of the best benefits of organic Coconut Oil for the skin is that it lasts a long time in comparison to some other oils and is therefore used as a base ingredients in many beauty products. Purella produce skin care using organic Coconut Oil brimming with aromas to enrich your senses and soothe your day. Our Skin conditions ​range all contain coconut oil. If you’ve been meaning to get your act together and start treating your skin better, you’re definitely not alone. Knowing what products work together, how they benefit your skin, and the order in which to use them is incredibly important when developing a skincare routine that is best for you. Before you buy your new skin products you need to know what kind of skin you have! Do you have oily skin? Dry skin? Combination? Combination oily? Combination dry? You don't want to cop some cleanser meant for dry skin if your skin is super oily! Do your research and figure out what kind of skin you have before you blow your money on products that aren't meant for you. REPEAT AFTER ME: I WILL USE MAKEUP REMOVER EVERY NIGHT. Look, it doesn't matter what skin type you have, it doesn't matter if your face wash claims to remove make up, it doesn't matter if you just have a little bit on. Please, use a make up remover before starting your night time routine. Sleeping in your make up is so easy, especially when you've had a long day and just want to loaf out in front of your computer, but your skin will thank you. This is so key. Ask for samples before you commit to buying a product. You never know, that moisturiser you've heard is amazing might make your face feel like a grease ball and maybe that peel makes your skin break out. You'll never know until you try, so try in a way that isn't a waste of money. For ideal, ultimate results, a skincare routine must be used regularly. Some products you will need to use twice a day (cleanser, toner, serum), others once a day (sunscreen during the day and moisturiser at night and, for some, once-daily exfoliation), or once a week (advanced exfoliants). It's also important to use products in the right order. So, your BFF, like you, has combination oily skin. So it makes sense that you two should use the same products, right? Eh, not so fast. It's worth a try but it's not a guarantee. Listen to your skin! It's so easy to start a new routine with great intentions and consistency...and then you end up getting frustrated or bored by the end of the second week. We've all been there. But you have to remember that your skin isn't going to magically transform overnight. It can take weeks for the results to really show! Also called “liquid petroleum,” “paraffin oil,” and “white mineral oil,” mineral oil has long been used in a number of industries, including biomedicine, veterinary medicine, mechanical, electrical, and industrial. Nowhere is its use more debated, however, than in the cosmetics industry. Mineral oil used to be a popular moisturiser in skin and hair products. People have relied on it for decades, and things like baby oil and Vaseline are old favourite applications. But lately, this ingredient has gotten a lot of bad press. What’s the problem? The cosmetics industry is a big fan of mineral oil. The fact is that mineral oil is cheap, fragrance free and colourless, doesn’t oxidize and can easily be kept for a long time. 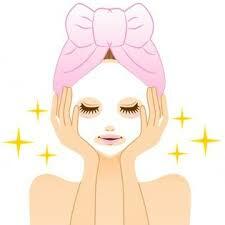 The result, it gets used in very many cosmetic products. In fact; almost all baby oils consist almost entirely of mineral oil. And if you think that you don’t use any mineral oil, just take a good look at the labels. Liquid paraffin, liquid petroleum, paraffin oil, paraffinum liquidum, petrolatum liquid, petroleum oil, white mineral oil and white oil are all mineral oils. Vaseline (Petrolatum) is a sister; it has a waxy structure and so it’s not as runny, but still belongs to the same family. Those of us who care about natural, nutritious products for skin don’t like mineral oil for several reasons. Here are my top three reasons to avoid it. 1. Mineral Oil does not let your skin breathe - Mineral oil is made up of large molecules, hence it cannot be absorbed easily by the skin and it can form an impenetrable barrier over the skin. It means that mineral oil is an effective occlusive agent, it can seal the moisture inside your skin to prevent water loss. However, it also blocks skin's natural respiration process. As your skin is not able to breathe, your skin unable to carry out detox function. It affects sweating function and dead skin cells shedding critically. 2. Mineral Oil clog your pores - Due to its impermeable ability, mineral oil is also considered comedogenic. The layer mineral oil forms on the surface of your skin can clog your pores, result in over production of oil, acne, and other skin disorders. 3. Mineral Oil does nothing for your skin - There is nothing inside mineral oil that will nourish your skin. The mineral oil itself does not provide any hydration to your skin, it just sits on the surface of the skin to prevent water loss. In addition, Mineral oil does not allow your skin to absorb anything from the atmosphere, as well as other beneficial ingredients in your skin care product. 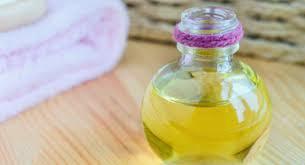 Mineral oil is commonly used in skin care products for one main reason, it is unbelievably cheap! As an unwanted byproduct of petroleum distillation process, petrochemical industry gets rid of it by selling tons of mineral oil at low prices in the cosmetic industry. The reason is clear, companies include mineral oil in their products so that they can make more money! You do not want to spend big bucks on a product that contain cheap mineral oil! To avoid mineral oil, take a good look at labels of products and stay away from products that contain mineral oil. All of Purella Skincare products do not contain mineral oil!! Brace Yourselves: Winter Is Coming. For Your Skin. Winter Is Coming for your skin - are you ready? Even if you live in a mild climate, the drastic change in season can leave your skin looking like a White Walker. To keep your skin head-to-toe smooth, hydrated, and glowing, you need these 5 Tips For A Clean, Green Winter Skincare Routine. 1. Swap your water-based moisturizer for an oil-based one. In the heat of the summer, your skin doesn’t require a heavy moisturiser as oil glands are more productive in hot weather. Come winter, skin often turns dull, dry, and flaky. Swap out your warm weather water-based moisturiser for one containing oils such as jojoba, argan, or rose hip. Oil-based formulas will help restore the skin’s natural moisture balance during cold weather. Power tip: Gently press a couple drops of a face oil (such as Hydro Boost Skin Hydration Facial Oil Serum ) into your skin after you wash your face - this will lock in moisture and give skin a dewy glow. 2. Don’t forget the sunscreen. Ok, so it’s not hot anymore, but that doesn’t mean UV rays are any less powerful. In fact, the sun’s UVA rays (the ones responsible for ageing) are more powerful on a cloudy day! Keep with your sunscreen routine as the days get colder - pay extra attention to the left side of your face as it tends to get more UV exposure from your car driver-side window. 3. Stay hydrated - not just with water. When it’s not warm outside, sometimes it’s difficult to feel motivated to drink water. However, drinking adequate water is key during the winter as it is an excellent lubricant to keep your skin soft and supple. Hot (herbal) tea and hot lemon water are excellent ways to get more fluids during the colder months. Also, increasing consumption of foods such as avocado, walnuts, and salmon help keep your skin smooth and hydrated. 4. Avoid scalding hot showers, no matter how nice they may feel. Hot water can strip moisture from skin cells, thus leading to extremely dry skin. Stick to lukewarm water to help retain skin’s moisture and try to limit the length of your showers. Be sure to apply moisturiser on immediately after showering, while skin is still damp, to maximise hydration and minimise water loss. We suggest ​Hydro Boost Skin Hydration Day and Night Moisturiser for perfect hydrated skin. 5. 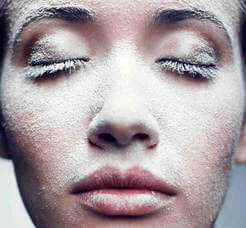 Gently exfoliate - cold, windy weather can make your skin coarse and flaky. Exfoliate gently once per week to remove dead skin cells and reveal soft, glowing skin. Use Mineral Spa Botanical Salt Body Scrub and Gently massage into your face and body skin during your shower and rinse like normal.